Nicosia, Sep 4 India on Monday thanked Cyprus for extending support to New Delhi’s bid for permanent membership in a reformed UN Security Council and also for the Nuclear Suppliers’ Group. 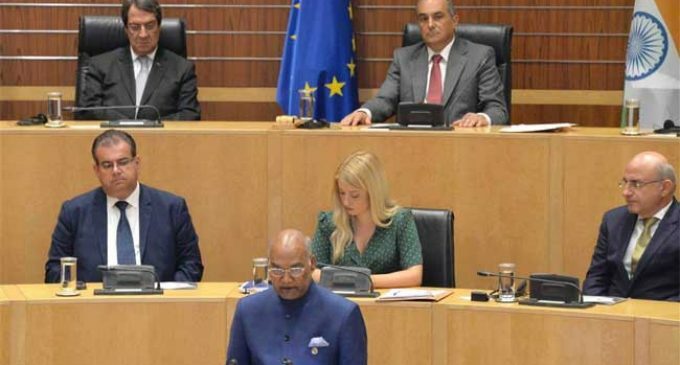 “The salience of national sovereignty and the essential need to defeat radicalism and terrorism unites us,” President of India Ram Nath Kovind said in an address to the Cyprus House of Representatives here. “In this regard, India has called for finalising the Comprehensive Convention on International Terrorism at the United Nations and we count on your support,” Kovind said. “I would also like to thank Cyprus for its unstinted backing of India’s candidature for an expanded UN Security Council as well as for the Nuclear Suppliers’ Group,” he added. India is a member of the G4, that also includes Japan, Germany and Brazil, seeking permanent membership in a reformed UN Security Council. China has been blocking India’s bid for membership in the Nuclear Suppliers Group on the ground that for a nation to become a member of the 48-nation bloc, it should be a signatory to the Nuclear Non-Proliferation Treaty (NPT). In his speech, Kovind also promoted India as an appealing business destination. “India’s overriding mission is its economic growth and modernisation, with the fruits of development reaching all sections of our people,” he said. 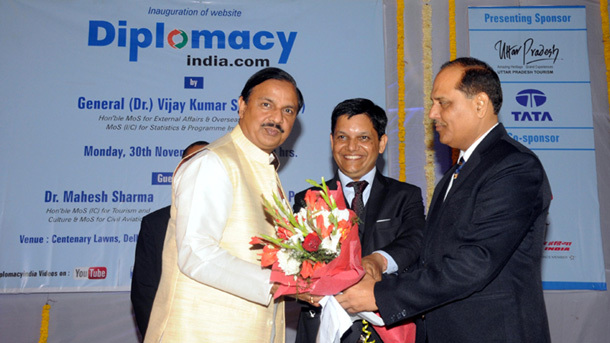 “Cyprus, as a trusted partner and as one of the largest investors in India, is critical to this process. India is at an exciting juncture and offers appealing business opportunities,” Kovind said. Kovind said that tax reforms to galvanise India’s widespread manufacturing and business capacities and large domestic market have also helped. “The implementation of the Goods and Services Tax has led to uniform, simpler and digitally-enabled taxation in all of our 29 states. It has integrated the country into one business system,” he said. Earlier in the day, India and Cyprus signed two agreements on anti-money laundering and on cooperation in the field of environment following a meeting between Kovind and Cyprus President Nicos Anastasiades here. “We welcome the signing of the MoU (memorandum of understanding) between Financial Intelligence Unit, India, and the Unit for Combating Money Laundering of Cyprus,” Kovind said while addressing the media after a bilateral meeting with Anastasiades. In his address to the House of Representatives, the Indian President said that the anti-money laundering agreement “will be useful for both of us”. His visit to Cyprus comes after Anastasiades’s visit to India in April last year.